MileStat's Coach of The Year is James Nixon of Grassfield! 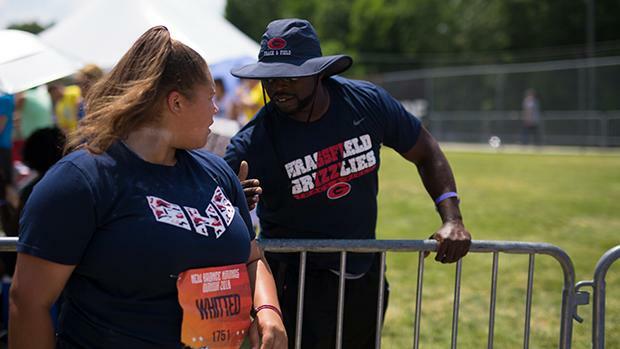 RICHMOND, Va. - MileStat is happy to announce Grassfield's Coach James Nixon as the 2018 Outdoor T&F Coach of The Year. He wins this award particularly for his success in not only creating a powerhouse of throwers but for helping them perform best when it matters most. This was very evident this weekend when he coached Ebonie Whitted and Chelsea Wallace to All-American finishes in the shot and disc. Ebonie improved to VA #2 all-time and Chelsea moved up to VA #7 all-time. Coach Nixon now has seven throwers inside the VA outdoor all-time list's top 10. His continued success is staggering. Having a great athlete roll thru your school is nothing special, creating athletes and fine-tuning talent is though. Coach Nixon has done that year in and year out and this year it was better than ever the way he got his athletes to improve and peak when it mattered the most. Coach Nixon joins Adrian Lorenzoni (Albemarle- XC) and Mark Love (Patrick Henry - Indoor Track) as COY for Outdoor Track. He also joins Maury's Iman Islam, Nansemond River's Justin Byron, Western Branch's Claude Toukene, and Maggie Walker's Jim Holden as an Outdoor Track award winner.